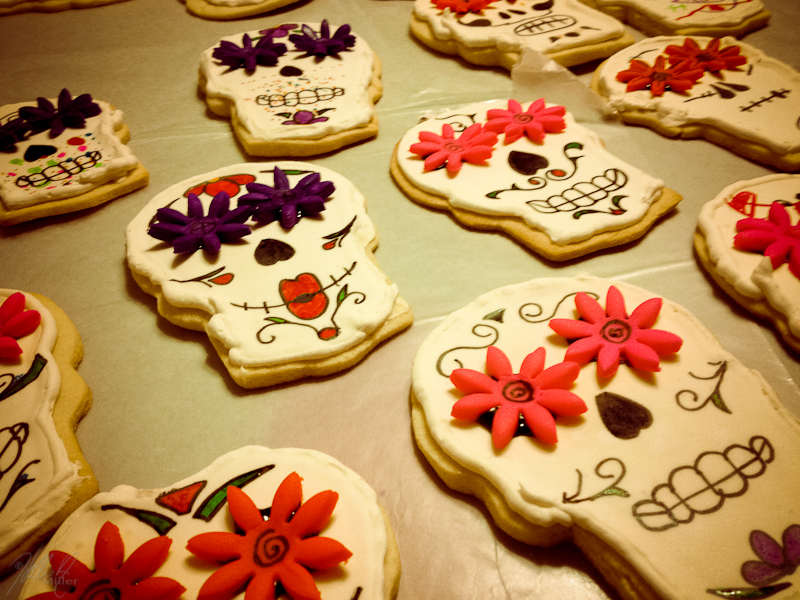 In Honor of El Dia de Los Muertos, the fam decided to decorate some delicious skull shaped cookies! I couldn’t find a skull shaped cutter anywhere in Kansas City, so we made one out of steel flashing. I created the die line and procured the materials, dad helped shape the cutter and the girls and I made the dough and baked the cookies. Then, Jas and I put the initial frosting layer on. 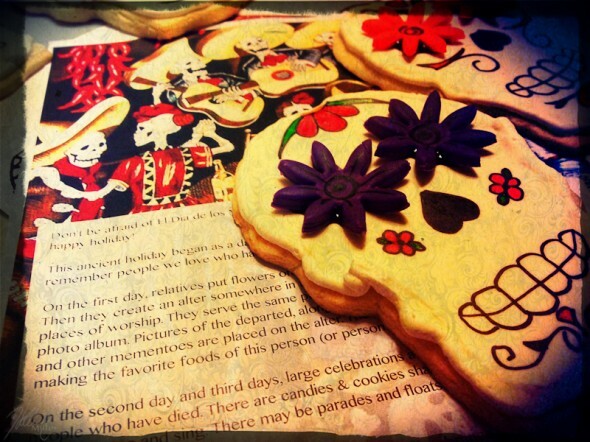 We chose to use royal icing because I really wanted to be able to draw on the cookies rather than pipe the features on. Then, I decorated the cookies using roled fondant for the flowers, edible markers to draw the designs and a little help from my girls! I think they turned out pretty good! 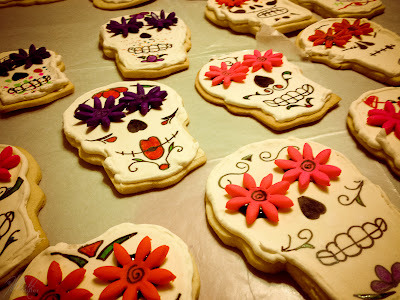 Originally, I’d planned to serve them as snacks for the Girl Scout meeting because it was to be held on El Dia de Los Muertos, so I created some nice handouts to go with them explaining the holiday with a color-&-cut skull mask on the back for the girls to play with. However, the meeting was moved at the last minute, so the cookies ended up being eaten by us and taken to work! This entry was posted on Tuesday, October 30th, 2012 at 5:25 pm. It is filed under Create, Projects and tagged with Yum!. You can follow any responses to this entry through the RSS 2.0 feed.